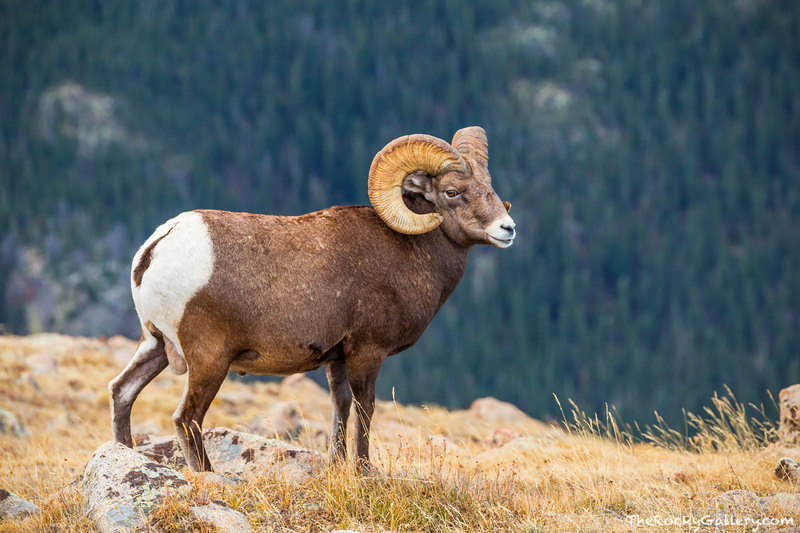 A healthy looking Big Horn Ram surveys the steep landscape high above Forest Canyon. Big Horn Sheep spend much of their time on the rocky cliffs found throughout Rocky Mountain National Park and standing on the edge of Forest Canyon 1800 ft above the Big Thompson River high on the alpine tundra only makes this ram feel right at home. Photo © copyright by Thomas Mangan.